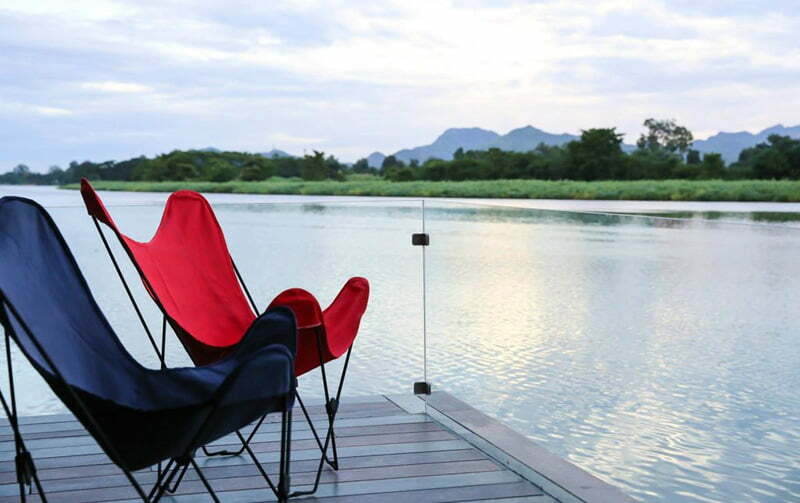 When we heard about Thailand tourism and their attraction, we imagine Houseboat is a part of it without fail, Right? But here we see beautifully crafted floating house over a river Kwai in Thailand. Project Design by Agaligo Studio, and inspired from traditional floating home of that region in Thailand. 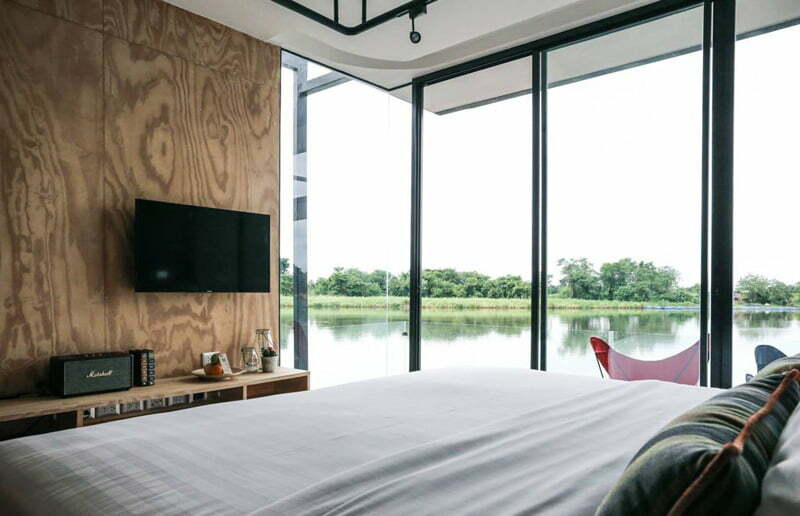 Agaligo Studio give totally new definition of Modern Houseboat – and create X-Float holiday homes, A Floating House Of river Kwai, in Thailand. 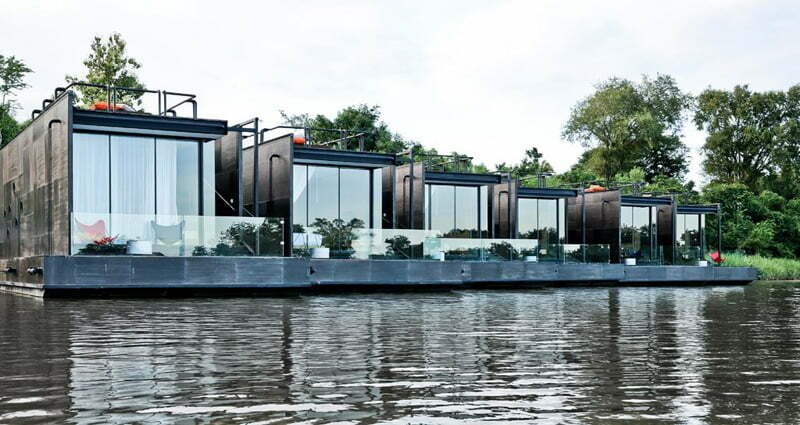 A collection of floating holiday homes, built as part of the X2 River Kwai Resort. These floating houses open from front and back side with view over a river kwai’s beautiful and rejuvenating natural sense. 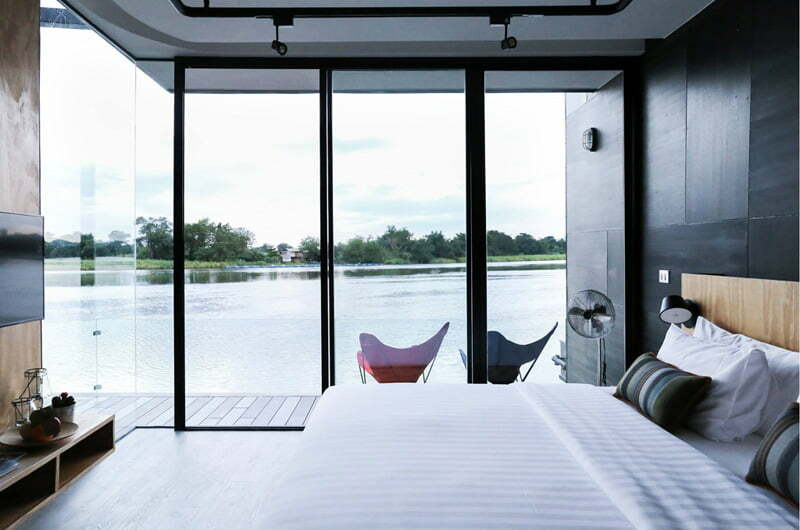 These modern houseboat elevation give a contemporary architectural statement with glass facade and black exterior colors. 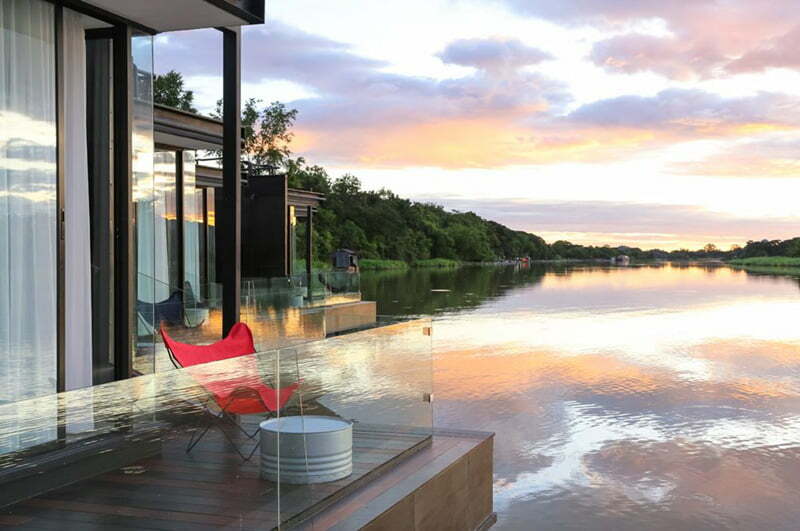 Every floating house have a personal deck, facing towards a river side, with wooden flooring and full height glass railing without handrail and railing post. 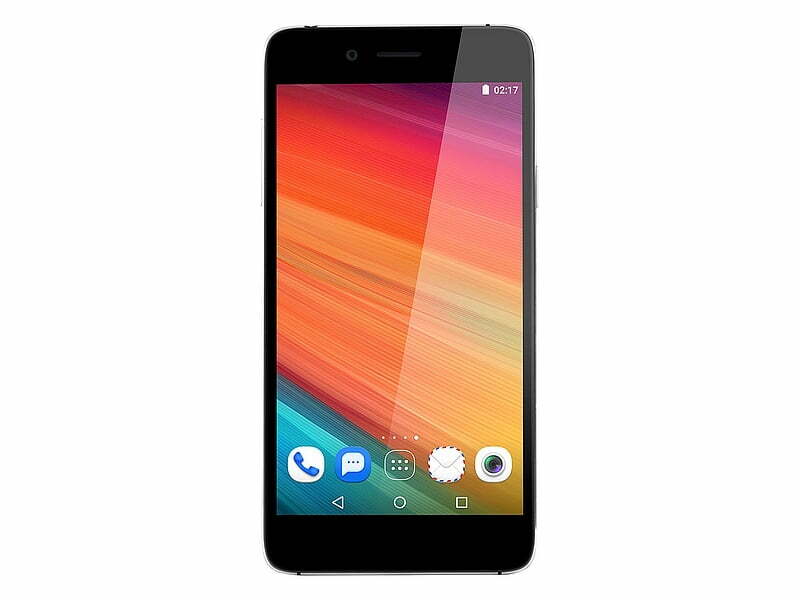 Designer porpose fully avid extra supporting members, those are disturbing a mind pleasing sunrise and natural beauty of river kwai. 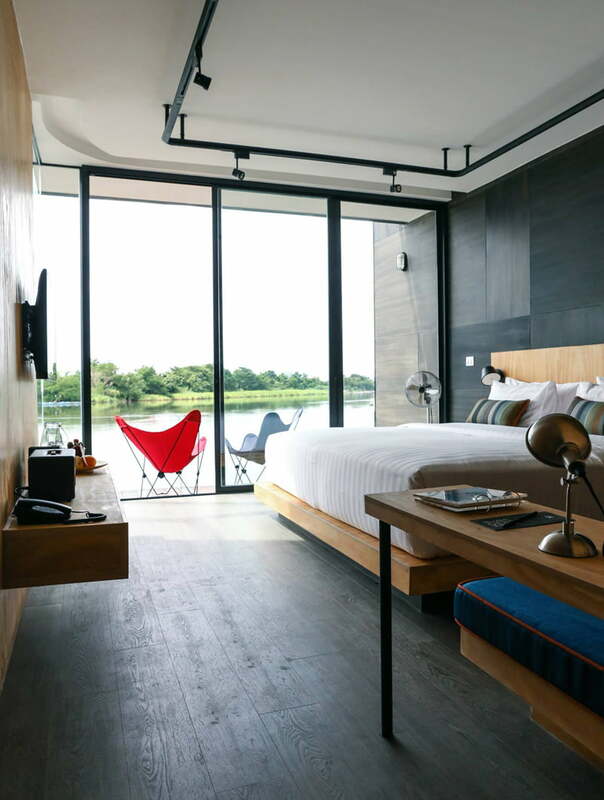 Room of this floating house of your next holiday homes design, full height floor to ceiling clear view glass window, towards river side. 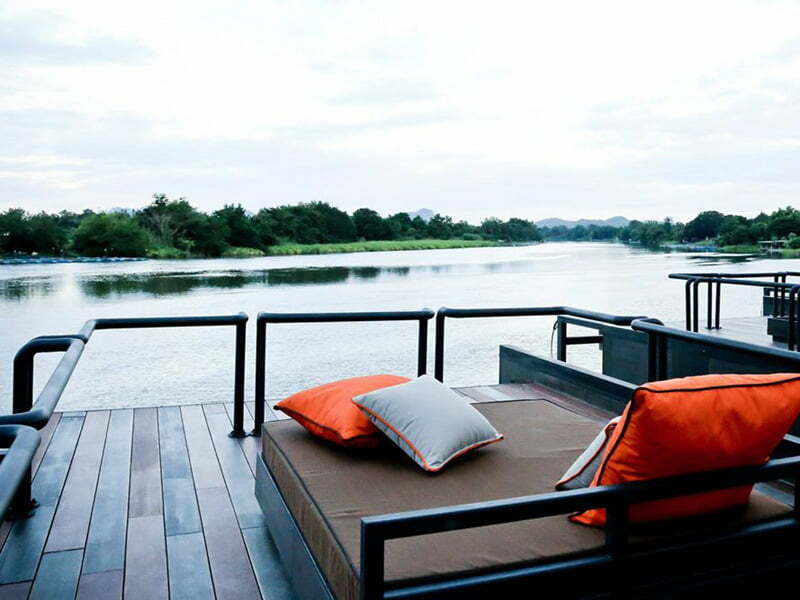 When you are on your bed with your loved ones, your don’t miss out the panorama over river side nature. 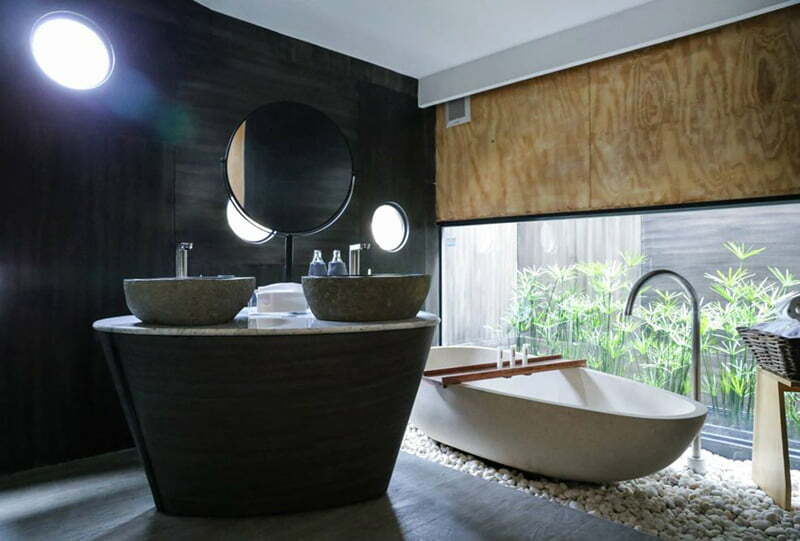 Bathroom Vanity of this floating house, really really rejuvenating your soul in a style of Thai spa tradition. 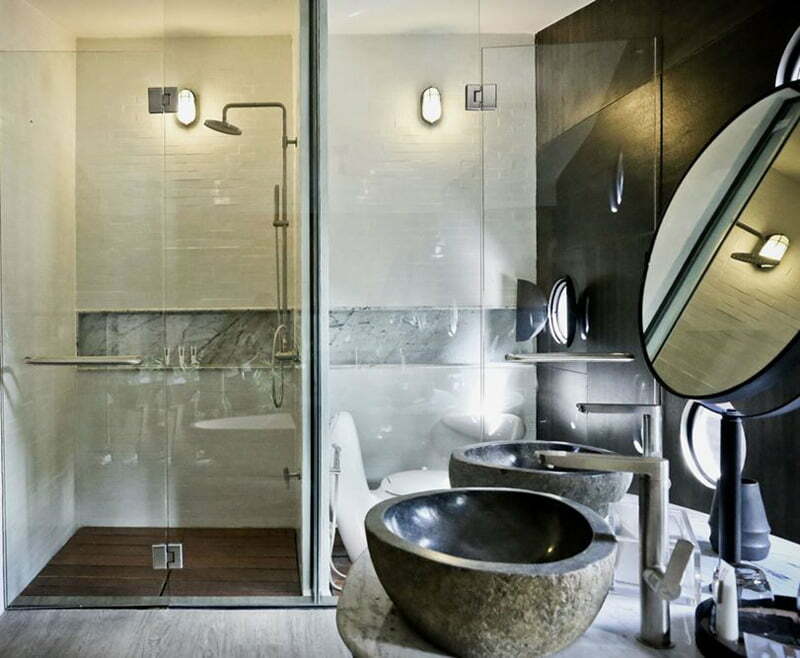 Modern vanity of bathroom in holiday homes of Thailand, with enclosed water closet and shower cubical. 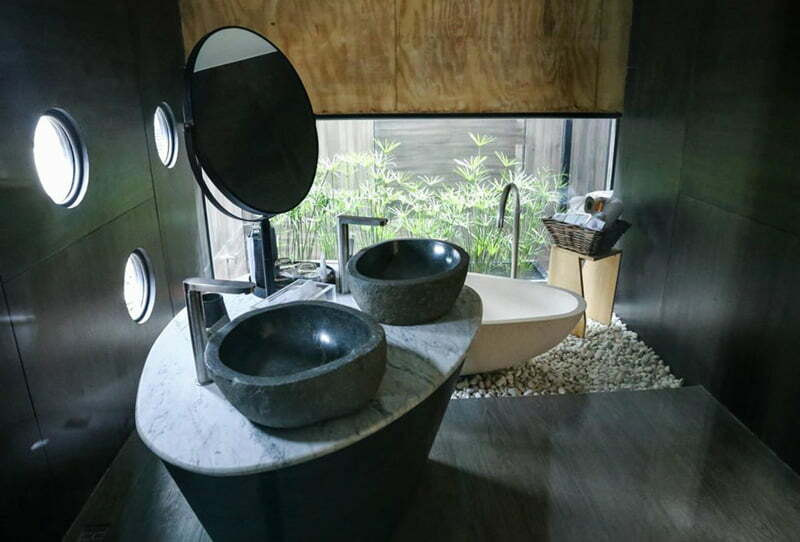 Modern vanity designs of bathroom sink and bathtub – Give a experience of out of world on a bank of river kwai. Personal Family Lounge on the upper deck level for your evening and night party with your family and friends, accessible by ladder from the side of houseboat. 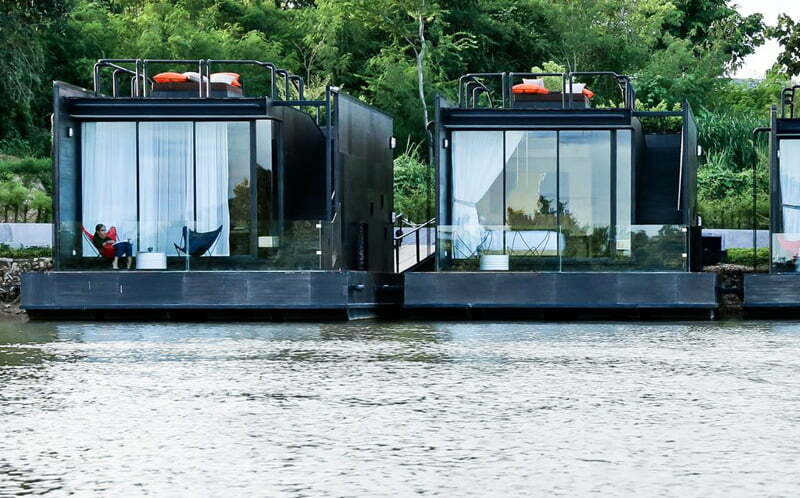 So, Wingers – These modern Houseboat, A Floating house of River Kwai in Thailand, Will make your next holiday homes. Hope you like the concept and design of these holiday homes on river in Thailand and futurism of Tourism architecture.